Day 26? Really? It somehow feels like I've just started this challenge and simultaneously have been doing it forever. It's weird. Today's recipe is a crab salad that, like the pasta salad, I was reluctant to try. I'm so glad I did, though. It is very tasty and I definitely want to make it again. Initially I thought the addition of mustard to a seafood salad would be weird. Boy was I wrong! It totally made the flavor perfect. 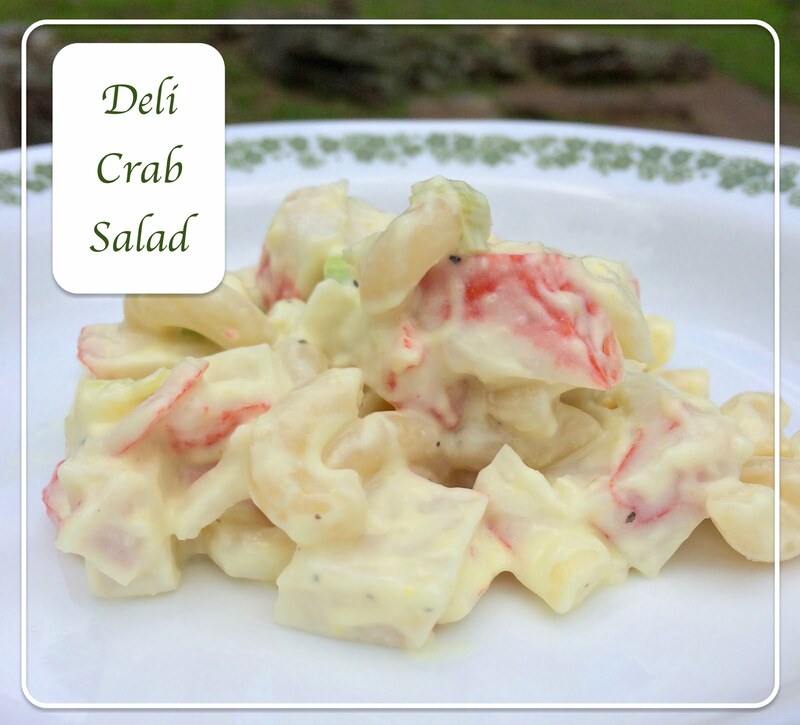 If you are a seafood lover and want to mix it up, give this salad a go. I liked it and I hope you will too! Original recipe found on page 2: 100 Favorite Weight Watchers Recipes. Chop crab meat and green onions. Mix. Add remaining ingredients and mix well. Chill and serve.